Malaysian Prime Minister Mahathir Mohamad will visit China today, marking his first visit as head of the new Malaysian government. In the shadow of his predecessor, Najib Razak—who has been charged with money laundering—Mahathir will attempt to renegotiate the terms of Chinese-backed infrastructure projects, as pursuant to his campaign promises. In July 2018, Mahathir suspended the construction of the $20 billion Chinese East Coast Railway Link, a strategic cornerstone in Beijing’s Belt and Road Initiative (BRI). The PM has travelled to China in large part to renegotiate the terms of the deal in order to curb national debt and to snuff out lingering claims of corruption. Mr Mahathir is redefining Malaysia-China economic relations by creating what he deems an even playing field. The halting of crucial BRI projects could serve as a bargaining chip for Mahathir during talks; it could also risk diminishing the strong Beijing-Kuala Lumpur alliance established by Najib. 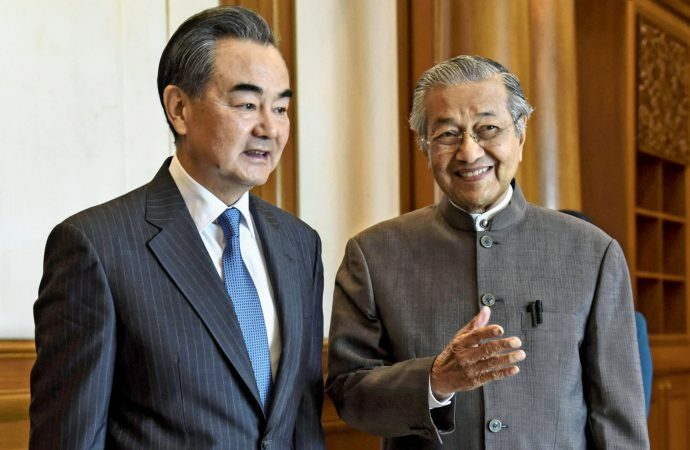 Though the PM will attempt to create a more equal relationship between Malaysia and its biggest trade partner, it is unlikely that Mahathir will attempt turn his country away from China’s economic sphere of influence in the long-term.